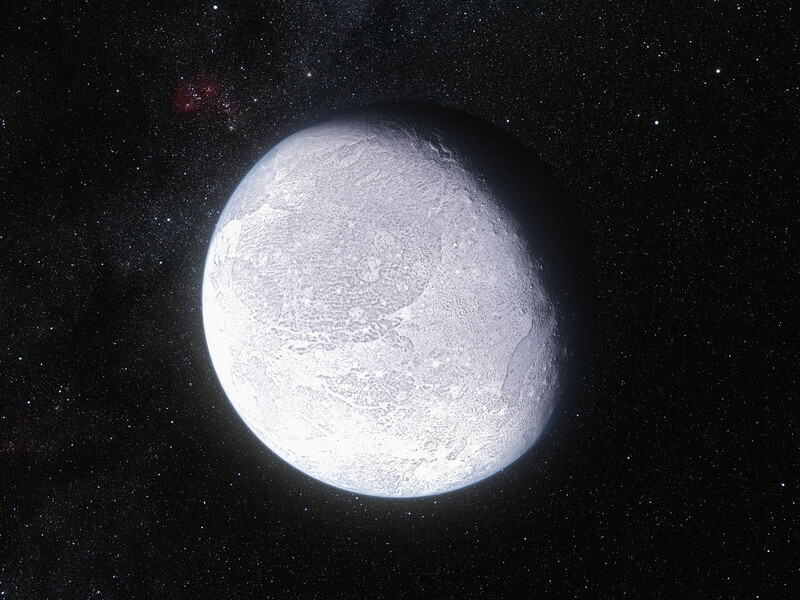 This artist's impression shows the distant dwarf planet Eris. New observations have shown that Eris is smaller than previously thought and almost exactly the same size as Pluto. 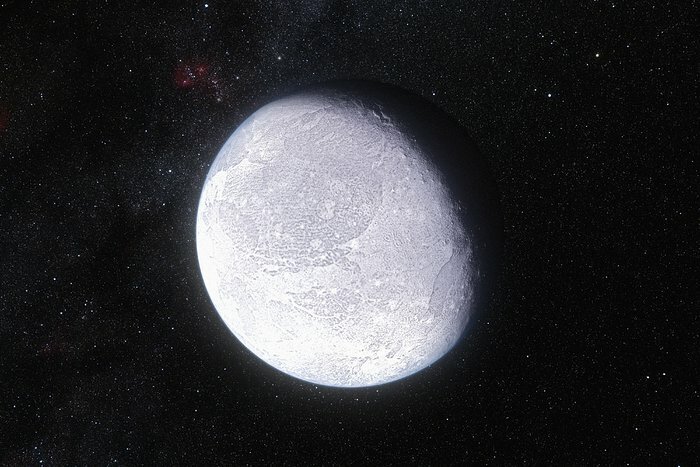 Eris is extremely reflective and its surface is probably covered in frost formed from the frozen remains of its atmosphere.